In 1970 a photograph was taken by a local girl, which two bodiless heads can be seen in the night time image, floating along the street. Due to the blurred image, however, there could be a rational explanation. This male figure dressed in shiny white armour has been seen holding a spear and whistling merrily one evening by a man walking past the hall. Sir Henry Irving has been seen on numerous occasions walking across the floor, it is said that this was the last place he played at before dying. On the moors just south of Bradford stands High Fernley Hall. Built in 1678, the hall was once far grander, a large mansion that has been greatly reduced over the years. Many have reported seeing a headless horseman running in the grounds of the hall. 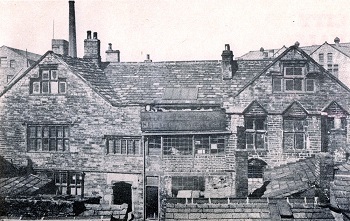 On the top side of Mexborough Road, there is a building that was at one time known as the Gospel Hall. 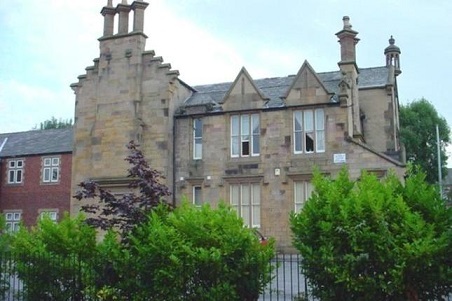 (see right) It was built around 1906 to house a non-conformist religious group. When the group wound up the building was bought by a firm of cloth finishers and employed women burling and mending lengths of cloth. The ladies employed there say that it has never been a comfortable place to work in for there seemed to be a feeling that was hard to describe. Mostly it was a feeling of being watched and upon turning around finding nobody there, or a feeling of being brushed past and again nobody near. The heater was turned off at night, only for it to be found turned on again at full power in the morning; the same happened with the cooker. To happen once may be open to explanation, but when it happens several times?? One day a lady went into the storage area to get some work when she saw a man standing there watching her. She asked him why he was there and, not getting any reply, turned to call for assistance. When she turned back he had disappeared. 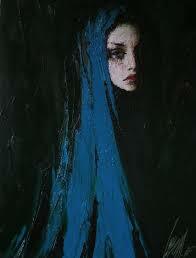 But, as she had been stood in the doorway and that was the only visible means of entry and exit, how did he pass by? A search of the area found no-one so the lady was asked to describe him. He was said to wear 'old-fashioned clothes' and hat but she could not say how old he appeared. One thing stands out in all these acounts: nobody mentions the traditional cold feelings that usually accompany these sightings. I wonder if any of the Gospel Hall members have had any experience of this nature? Perhaps the previous religious use of the building could account for some of the ghostly activity. 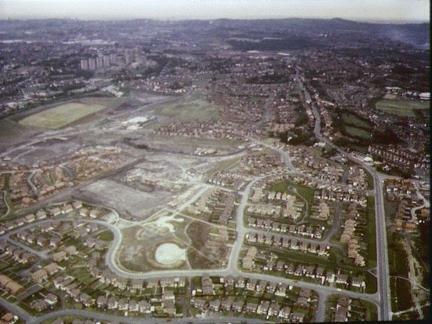 A plethora of ghosts frightened residents on the Brierly Housing Estate, mostly attacking lonely women back in 1926. The ghost reportedly looked like a sheet with black holes where the eyes should have been. 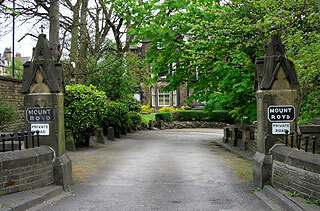 It also was said to have haunted Manchester Road. Could this have been someone playing a joke on the poor women on Bradford? Or was is a demon after the souls of the frightened woman. 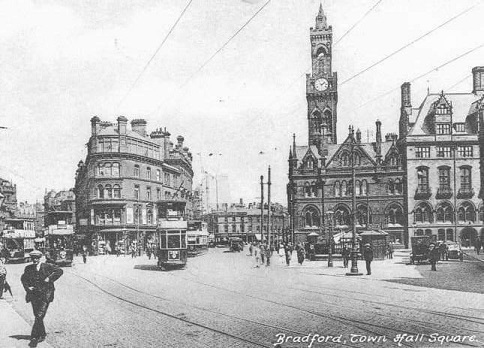 The City Hall of Bradford is said to be haunted by a spirit called Chains Charlie. Many believe that Chains Charlie was a prisoner who was tortured in one of the cells. He was so unhappy, that even after he died, he returned as a poltergeist to haunt the very place where he was tortured. People have reported seeing a headless torso holding its head at its side. Sir Henry Irving was one of the Victorian era’s most famous stage actors. The night of October 13, 1905 found Sir Henry Irving at the Bradford Theatre, performing as Becket of the Tennyson play of the same name. Sir Henry suffered a stroke while on stage as he uttered the dying words of Becket. He was taken to the lobby of the hotel where he later died. Although he was laid to rest in Westminster Abbey, many claim to see his ghost at the hotel. 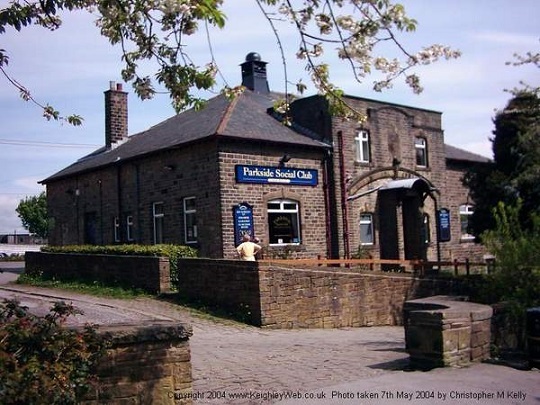 This place has a history crammed with incident, much of it of a tragic nature: the pond there has witnessed several drownings, and is said to be haunted by a coachman dragged into it by a bolting horse, along with a young boy who died playing there in the late nineteenth century. 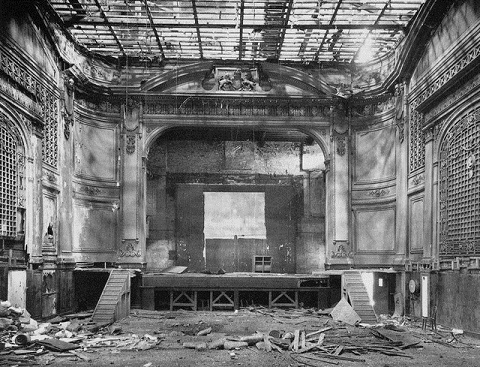 The most gruesome story is of the two lovers who are said to haunt the building itself. Legend says that one of Riddlesden Hall ’s early owners returned earlier than his wife had expected, and found her cavorting with her lover. The Husband overpowered both his wife and her lover. They both met the same lingering death as the man was walled up in a side room, and the wife was locked in the room where she so recently had been enjoying her coupling. Slowly they starved to death. The spirits of the two are, so it is supposed, bound to earth by the horror of their deaths and the sinful reason for their joint murders. The woman returns often, seen as The Grey Lady trudging up the stairs making her weary way to the fateful bedroom, and her lover is seen as a face at the window in the room where he was entombed. Bolton Old Hall in Wrose was built in 1627, and was in a state of deterioration, but Billy Reidy bought it anyhow, saying he lived within a mile of the house and had noticed it for years. Billy reported that the presence of Blue Mary, as she is known, has been felt not only by him, but also by other visitors to the house. Her legend seems to have started in the late 19th century. The residents of the hall blamed Blue Mary for the cows not producing as much milk. They took her presence so seriously that they hung up horseshoes and bottles of needles to calm her. 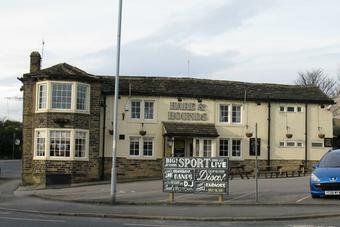 The Hare and Hounds has had paranormal activities within it for years now. Plates falling off the wall in unison and a brass bell flying across the pub into the wall is nothing new for the Dog and Gun Pub. In addition there have been slamming doors, strange voices, and a baffling fire caused by a porcelain figure. The Firefighters that extinguished the fire could not determine how the porcelain figure caught fire. 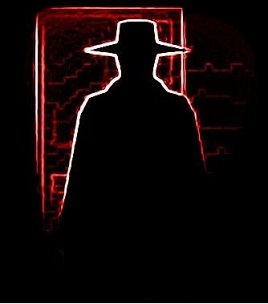 A strange man in a long coat has been spotted over the years, running in and out of the rooms as if avoiding being spotted. Some of the activity reported here is that a baby has been heard crying all around the hall and ladies' voices are heard. In the Blue Room people have experienced the feelings as if they are being watched, and a man with long coats tails has been seen by the fireplace, who is well known to be happy to communicate with ghost hunters. 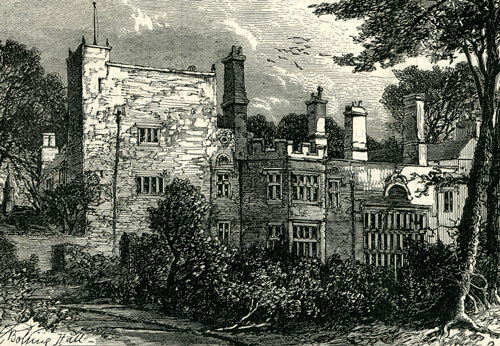 In 1643 the first ghost was sighted at Bolling Hall, and is believed to be the first ghost sighting ever recorded. The head of the Royalist army, the Earl of Newcastle felt his bed clothes being pulled away from him and saw an apparition of a lady wringing her hands and saying 'pity poor Bradford'. As a result he changed his orders from his troops to kill all in Bradford to only kill those who offered armed resistance. As a result only 10 people were recorded as being killed in the siege. 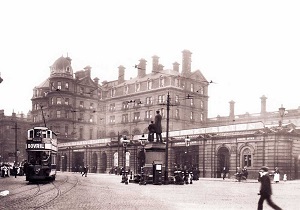 In the 1900s a Mr J.M. Tankard lived at the hall one of the maids was meeting her fiancé in the east part of the grounds when they saw a group of Parliamentarian officers approaching them who suddenly disappeared. Back in the 1940's the head attendant reported seeing a lady in period dress floating 3ft off the ground in the entrance and gliding over to the fireplace and disappearing into it. 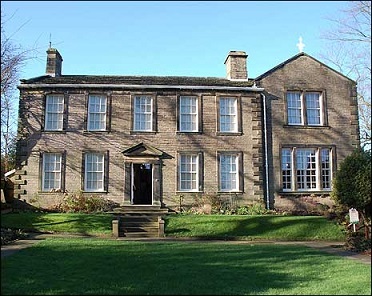 This famous abode of the Bronte Sisters, is said to be haunted buy a ghosts named Emily who haunts the grounds, her head bowed as in deep thought or meditation. Then she suddenly vanishes if anyone comes too close. The apparition may appear several days either side of the 19th December each year..